In a previous post, we talked about ways you can protect the glass in your home from being damaged by storms. However, sometimes a large storm strikes and no matter how much you tried to prevent it, a window breaks. 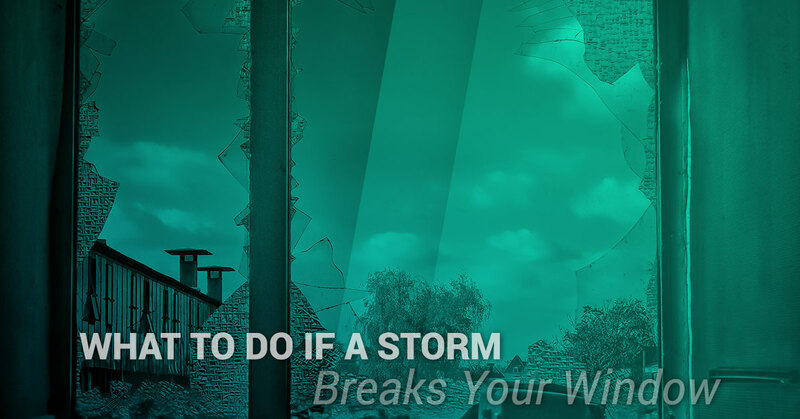 Whether it is due to old glass in your home or a large branch crashing into your window, make sure you know how to spring into action when a storm breaks your window. 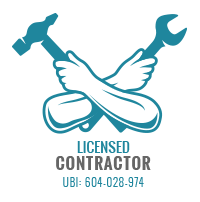 Remember, you can call us anytime to schedule home glass repair in Seattle. We are experts in glass replacement and we can help get your home back into shape in no time at all. 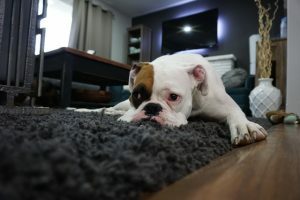 The first thing you should do when a window breaks is to get any kids and pets out of the room. Children can easily cut themselves on glass shards that are too small to see. Dogs are often extremely curious and may go over to inspect the broken glass. They can cut their snouts and paws on shards of glass and young dogs might even try to ingest broken glass. Move everyone into a safe room and keep them out until you are done with clean up. Your next step will be to clean up the glass that has broken. Make sure that when you are cleaning up you use extreme caution. Glass shards can cut deeply and quickly. It is best to use a pair of gloves to protect your hands during clean up. Make sure that if you are using a broom, you thoroughly clean out the bristles afterward. Small bits of glass can get stuck in your broom and can later fall out, leaving dangerous glass bits throughout your home. Wear sturdy shoes to ensure you don’t step on any glass as well. Often the bits of glass will be so tiny you won’t notice them until they are firmly planted into the bottom of your foot. Make sure you go over the area a few times to ensure you have swept and cleaned up every last bit of glass. After you have cleaned up the area, inspect the window to see if any glass shards remain. Again, be extremely careful when removing glass from the broken window. If you do not have thick, glass-proof gloves, it is best to leave the cleanup to a professional. Once you have cleared the area of glass, tape up the window with a piece of cardboard or tarp to keep as much of the elements out as you can. Now that the immediate danger of broken glass and an open hole into your home is resolved, pick up the phone and give our team a call. Schedule glass repairs right away as a broken window leaves your home susceptible to the weather and leaves your home unprotected from intruders. When you are looking for home glass repair in Seattle, we trust you will turn to our professional team of experts. We will be there to assist you as quickly as possible to ensure your home is safe and secure. Don’t delay, contact us today.